Centrally located in Dublin's commercial district, these office spaces offer first-class office solutions for companies and entrepreneurs. Fully furnished and sophisticatedly decorated, these offices can be tailored according to your needs. They are provided with a full range of services and facilities: meeting facilities, telephone and reception services offered by an experienced support staff. Just a few minutes' away from the airport and the railway station, these offices are served by numerous public transport routes and are easily reachable. Centrally located in Dublin, these office spaces are available at flexible rental terms to accommodate any of your needs. Furnished to a high standard and technologically equipped, these offices benefit from a very central location: close to the main shopping streets, within walking distance of the main railway station and well served by numerous public transport routes. Commutes to this space will always be simple and easy. These great offices range in size to accommodate from 2 to 50 and provide good shared amenities. A large open reception area, meeting rooms and a canteen are available for clients. They are available on flexible terms and boast convenient public transport links to Dublin city centre and beyond. Its sought-after address and previous tenants are testaments to the success this wonderful space enables. A selection of modern offices is available to let in this prestigious building, designed by a famous architect and sophisticatedly decorated. Available in various sizes and at flexible rental terms, these offices are provided with meeting rooms, lounge areas and all the services and facilities needed to run a successful business. Located in the heart of Dublin's business district, they are surrounded by the major city's cultural attractions, restaurants, bars and a wonderful park. This centre offers a number of exceptional facilities and workspace packages for all types of clients in the busy and vibrant city of Dublin. Featuring fully furnished serviced office suites and many premium amenities, this site is ideal for tenants seeking professional and exceptional value office space in a popular corporate environment. The area's transport links also provide frequent and convenient access to both the centre and the surrounding reaches of the city. Located 10 minutes from Dublin Airport on the Balheary Road the centre has all the amenities of Swords Village on its doorstep. These fully furnished office suites for companies from 2-100 people, with high spec IT packages available, as well as flexible terms for your convenience. Here, you can also make use of the training suites, boardrooms and meeting rooms for any type of collaborative project. The site is next to a park where you can relax during your lunch breaks. An impressive centre situated near Dublin, providing a range of furnished office-spaces available to let on flexible terms. Here, tenants can benefit from the high-speed internet, communal areas, kitchen, reception and meeting room access. The centre is also accessible 24-hours a day, highlighting the flexibility available to aspiring tenants. The local area is filled with amenities, including numerous eateries, shops and retailers, as well as banking services. Transport links are far reaching and circulate the local area frequently as well. If you are in the market for a new office, this brand new business centre in the heart of Sandyford is the perfect option. As the space is brand new, you will be able to meet the on-site management team and choose the office space that works for you. You will also be able to customise the space so your new office meets your companies requirements. The monthly rental fee includes an array of fantastic amenities such; a high-speed internet connection, 24 hour access to the building, Wi-Fi throughout the space, Car parking and Bicycle racks for cycling enthusiasts, access to high-end board rooms and many more. 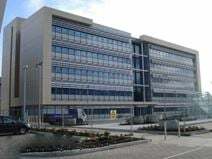 Sandyford is home to a variety of well-known IT, software and related companies such as Microsoft, Vodafone and Barclaycard. This business centre is part of a modern purpose built building and provides office space for one to 26 people. In addition, there are conference facilities to use at your disposal. With administrative support, the centre helps make sure your business runs as efficiently as possible. his Business Centre is ideal for companies who want to grow their business without high overheads. Conveniently situated just a short drive off the M50, with easy access to Dublin Airport and the city centre, this serviced office centre provides cost-effective office space for any duration with no long-term contracts. Dublin’s Light Rail Tram system runs from the city centre and is a 10-minute walk to our centre. This impressive building consists of stylish offices, elegantly furnished and sophisticatedly decorated to offer you a highly professional working environment. These office spaces are flexible and can accommodate small or large companies. Located in the heart of Dublin, they benefit from a prestigious business address, which hosts numerous companies, bars, cafés, shops and sport facilities and is easily accessible. Situated on one of Dublin's hidden gem streets, these semi-serviced offices are fully inclusive and ready to move in to and right in the heart of the city. With great transport links and lots of restaurants during the day and on of Dublin's nightlife hubs at night. The centre is accessible 24/7, allowing you to work through late hours. This centre is the perfect workspace solution for businesses that value convenience, accessibility and functionality. Located in the prestigious Sandyford Industrial Estate, these high-spec, multiple-use premises boast an innovative design and clean and efficient work space alongside blue-chip multinationals. If you want to conduct business in a more social setting, not only are there on-site dining facilities, but also a host of options a little further afield. And with the famous Leopardstown racecourse on the doorstep, client entertainment couldn’t be easier. Excellent transport links and on-site/off-site amenities. This is a unique opportunity to rent stylish and modern office spaces of various sizes, provided with first-class administrative and maintenance support offered by a professional and highly skilled support staff. Equipped with meeting rooms and state-of-the-art technology, these offices offer a highly professional and elegant environment which will enhance the image of your company. 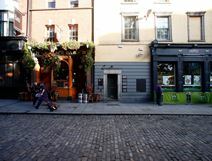 Just off Dublin's city centre, they are well served by public transport and are easily accessible. This modern centre has an array of useful amenities available for your business to take advantage of. The office space arrives complete with meeting rooms, kitchen, reception services and comprehensive onsite support. Additionally, the centre has spacious, modern meeting and break rooms, perfect for networking and collaboration. The location is perfect for an emerging business, being right in the centre of Dublin. The centre has great access to many forms of public transport, as well as numerous bars, restaurants, hotels and other useful services. Found in the heart of Dublin, this modern business centre provides contemporary business solutions to professionals - whether you are looking for a single desk or an office for your team. The centre offers a variety of workspaces including fully serviced offices and coworking options. With an all-inclusive fee, you are not caught out by hidden costs at the end of the month. The centre is easily accessed using public transport options including bus services, tram lines and the dublin bikes. These modern and spacious offices are available to let in the business district of Dublin, which hosts numerous leading companies and a variety of restaurants, bars, shops and other amenities. Well connected to the airport and to the city centre, they benefit from easy access to the motorway and excellent public transport links. These offices are provided with a large canteen, spacious meeting rooms, elegant reception and a full range of facilities to help you run a successful business. Shared, community-driven workspace for location-independent workers in Dublin's Central Business District. Home to business innovators, enterprising pioneers, progressive freelancers the flexible workspace is suitable for one to 350 members. This centre offers a flexible environment with killer design to empower each individual to reach their maximum productivity. Whether you’re the head-down, deep in concentration type or you’re the social collaborator who likes to bounce ideas around, this centre has got the right working space for you. Centrally located in Dublin, these office spaces are available at flexible rental terms to accommodate any of your needs. The centre focuses on customer service and technology, providing highly tailored solutions for clients. Furnished to a high standard and technologically equipped, these offices benefit from a very central location: close to the main streets of the city, surrounded by shops, restaurants, the major amenities and well served by private and public transport. Located in the heart of Dublin, these flexible office spaces can be tailored to accommodate any of your requirements. Fully furnished and modernly equipped with the latest technology systems, they offer a bright and professional working environment. They benefit from an attractive location: well served by public transport, just a few minutes’ away from the financial district and surrounded by restaurants, cafés and a variety of amenities. This centre is convenient for frequent flyers and for those that desire a comfortable and motivating space. Here, the space is accessible 24/7, with access to meeting rooms and support services. It is 30 minutes away from Dublin City, where there is an abundance of options with which to entertain your clients. High-speed internet will ensure you remain well-connected, and there is a business lounge for those that work on the move. Due to a highly skilled workforce, Dublin draws noted global ICT, software and financial companies. Located next to terminal 1 in Dublin Airport, just outside the city, this flexible office space is ready to move into immediately. Hot-desking options are available as are private offices with access to fully equipped meeting rooms. Your business can benefit from this turnkey solution's shared internet and IT support, which ensures you stay well connected throughout your operations. Situated right in the heart of Dublin, this business centre is found in a prestigious and well-known area of the city with plenty of local amenities to benefit from. The centre offers a range of virtual office options allowing you to remotely develop and expand your business, with all the necessary services you need to thrive. The centre also offers professional services including tax support, pay roll, mail handling, telephone answering and a prestigious business address to benefit from. This is great for new start up businesses looking to get a head start and get operations off the ground smoothly. At this impressive centre, you will have access to cutting-edge facilities and services, such as conference rooms, printing facilities, super high-speed internet, and more. Your business will establish a prestigious presence upon occupancy as the building has been recently renovated with an on-site management team, available to support you throughout the day. There is a security system, secretarial team and telephone answering services. The centre is open 24 hours with a security team, ideal for companies that require late hours. This contemporary centre that offers a great working experience for its clients and a creative place that can boost productivity. It offers a number of different meeting rooms, many of which can be customised and tailored. High speed Wi-Fi is available in all areas of the centre, providing businesses with great connectivity and allowing them to keep up to date. The centre is accessible 24 hours a day and you can also make use of the on-site meeting rooms, and is perfectly located for getting around and using the local amenities. The business centre promotes productivity, whether you’re a team of one or 100, with month-to-month flexibility and all inclusive pricing. You can also get support from the friendly on-site admin team, who are happy to assist with anything you may needs as well as; telephone answering, mail handling and greeting your clients. This beautiful property has been fully refurbished and upgraded throughout to an exceptional standard while retaining many of its original Victorian features, with bright and spacious workspaces. Your business can benefit from a fully fitted kitchen, three boardrooms, communal break out lounges, full reception services, shower facilities and a central location next to all main transport links. The immediate area also benefits from a wealth of amenities such as bars, restaurants, and gyms. This centre is part of a modern, elegant building which boasts a number of useful amenities to support your growing business. These services include; outdoor terrace areas, breakout spaces, parking, air-conditioning and spacious meeting rooms. The centre is well situated in the heart of Dublin's business district, with adequate access to all public transport links, as well as being surrounded by local amenities such as shops, restaurants and also notable locations such as the Dublin zoo and a selection of tasteful Theatres and Museums. Occupying two interconnected Georgian townhouses in Dublin"s premier business district, this business centre has been extensively refurbished to provide excellent serviced office space, meeting facilities and business support services to a variety of SMEs. The building has CCTV and 24 hour fob access and each office has its own individual alarm for added security. Meeting Room, Hot Desking and Co-working facilities are also available. This centre is ideal for growing and scaling companies that are looking for a supportive environment to take their business to the next level. It offers the flexibility to scale up or down as required in our innovative co-working space or private offices. This property is conveniently close to all major transport links including N11 bus corridor, Charlemont Luas (Light rail) Station, Aircoach to airport and train stations at Pearse Street & Grand Canal, making it accessible from both sides of the city for staff/visitors. This stylish business centre consists of first-class offices and conference rooms, offering you a highly professional and elegant working environment. The sophisticate design and the modern technology will enhance the image of your company; while the high quality support services offered by a professional and experienced team will help you run a successful business. Conveniently located in Dublin, this building is surrounded by numerous restaurants, hotels, shops and a variety of amenities and is well served by public transport. Conveniently located in one of the most dynamic areas of Dublin, these office spaces are fully furnished and provided with state-of-the-art technology. Modernly designed and recently renewed, they are available in various sizes to meet needs of big or small companies. Close to the railway station, these offices are served by numerous public transport routes and well connected to the airport. The RHA Gallery (Royal Hibernian Academy) is just a 10 minute walk away, as is The National Concert Hall. A prestigious address overlooking Fitzwilliam Square, this Georgian building is home to a mixture of offices ranging in size from one-person, up to 10-person open plan spaces. Its address will also give your business a strategic presence. Period features throughout, while main public transport links are close by. The three main public transport links are just a few minutes away by foot from this centre. Strategically located in the city's business district, this historical building consists of offices and spacious meeting rooms. Recently renewed and furnished to a high standard, this building offers ideal office solutions and an attractive business address for successful companies. These office spaces are provided with the latest technology and elegantly decorated. Within walking distance of numerous amenities, they benefit from this well serviced area. 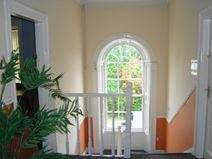 This beautifully restored Georgian building provides semi-serviced offices that can be let furnished or unfurnished. Within this elegant period setting, the business centre is equipped with state-of-the-art services including high-tech IT and VOIP infrastructure, as well as car parking facilities nearby. 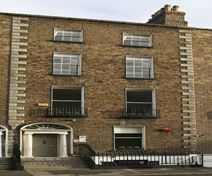 This centre is well situated in the heart of corporate Dublin overlooking Fitzwilliam Square Park. Located in a stunning Georgian period building this business centre offers spacious and modern work spaces with unique furnishings and a beautiful interior. Meeting rooms and offices come fully equipped with phone systems, high speed internet and CAT 5 cabling. The building is air conditioned for your comfort, and you will benefit from a communal kitchen along with a dining space. Professional and friendly staff are on-site to support you throughout the day and greet your clients. Just down the road you will find a fitness centre, and a Dublin Bikes station. Baggot Street is within walking distance and offers plenty of local amenities. 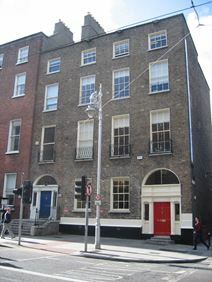 Conveniently located in Dublin's business district, this historical building offers first-class office solutions. This wide selection of offices, available in various size, has been recently renewed and equipped with state-of-the-art technology, the latest IT and telecommunication systems and conferencing facilities, to offer you a modern and technologically equipped working environment within a charming historical atmosphere. These offices are provided with secretarial and administrative services to assist your business in your daily activities. This is an attractive location, well served by public transport and hosting numerous companies and offices. Each of the office suites in this unrivalled Dublin 2 location is fully furnished and available on flexible terms. Tenants are also provided with access to two stunning meeting rooms, shower facilities and fully stocked kitchens. Each office suite comes fully furnished and is available on flexible terms. In addition, there is resilient business grade broadband, Wi-Fi available throughout, HD voice Telco system, full phone answering, car parking and bike racking available. The centre is accessible 24 hours a day so is suitable for any kind of working hours. Here, you’re supported by an on-site administration team. This team can assist with any queries you may have including telephone answering, mail handling and greeting your clients. If you're looking for a change of scenery why not take a walk into St Stephens Green which is located only nine-minutes away from the building. In Georgian Dublin 2, this centre was renovated in 2001 but retains its traditional tall ceilings and airy spaces. All offices have external views with spaces ranging from one-person up to six-person offices. There is a lift that provides access to all floors and secure car parking to the rear of the building. In addition, its cultured community enjoys The National Concert Hall, a great number of museums and lots of green spaces where you can relax. A selection of fully furnished offices is available to let in this historical building, modernly equipped and sophisticatedly decorated. These offices are provided with a full range of facilities, including parking facilities and state-of-the-art technology. Situated in the city's business district, they are served by various bus and tram routes. Within walking and driving distance, there are hotels and b&bs at which to accommodate visiting clients. Just a short drive away, you can reach many museums, galleries, theatres and events venues. An impressive business centre located in Sandyford, providing a prestigious business address in close proximity to Dublin. Professional amenities here include meeting rooms, 24-hour access, high-speed internet, on-site cafe and a professional cleaning service. In addition, the area is filled with local amenities to be enjoyed outside of working commitments including restaurants, supermarkets, gym, bank and hospital. The local Train station is a short drive away - facilitating easy access to Dublin and other major cities. The Airport can be accessed by a 24-hour Aircoach service. This recently refurbished and beautifully designed office space in the heart of Dublin offers a great range of private and co-working office solutions. Offices are modern and fully furnished, designed to be comfortable and boost your productivity. Your membership includes access to a shared kitchen, break out spaces and meeting rooms. The building is accessible 24/7, with on-site security. The nearest train station is just opposite the building and the city centre can be reached in only 5 minutes. This contemporary office space offers spacious and bright coworking spaces on an open-plan office floor which promotes an environment of collaborative work. The office space benefits from 3 meeting rooms, and you can also work on large office desks to suit 4, 8 or 10 people - making it perfect for small project teams! There are communal areas which includes a kitchenette, 2 WCs and a private entrance. The location is ideal, right in the city centre of Dublin where you will benefit from Dublin's best restaurants, bars and cafes right on your doorstep. These offices opening soon provide both co-working and private offices and affordable rates. 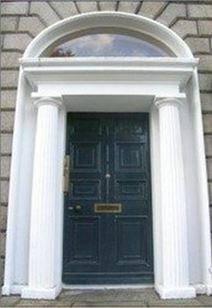 The centre is located in the heart of Dublin and is easily accessible by both public transport and car. You can access the offices 24 hours a day meaning you can come and go as you please. You're also supported by a friendly on-site admin team. This team can assist you with any queries you may have including; telephone answering, mail handling and greeting your clients. Within walking distance you'll also find many local attractions all within walking distance. Whether you're looking for a light bite to take back to the office or a sit down meal with clients there is something to suit all. A selection of office spaces is available to let in this modern and stylish building, directly located in Dublin's business district. These flexible offices can be tailored to suit your requirements. Fully furnished and technologically equipped, these offices benefit from an experienced staff offering administrative and maintenance services, so you can concentrate on your core business, while they take care of all the rest! Conveniently located in the heart of Dublin, these offices are surrounded by shops, restaurants and a variety of amenities and well connected to the motorway. Enjoying a sophisticated combination of Georgian architecture and state-of-the-art IT infrastructure, this delightful period building is home to a range of flexible office solutions. 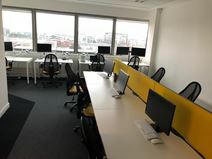 The spaces includes several private office suites, each complimented by a members lounge, collaborative coworking spaces, fully fitted kitchens and an exclusive outdoor terrace and enterprise grade meeting rooms overlooking Harcourt Street and Iveagh Gardens. There is a Dublin bike station outside for your convenience. This historical building consists of fully furnished offices of various sizes. Provided with advanced technology, the latest telephone systems and 24 hours access, these offices offer a first-class working environment. Located right in the centre of Dublin and close to the most important business district of the city, the building is surrounded by numerous companies, shops and public transport stops. This is a unique opportunity to rent stylish office spaces in one of the most attractive business areas of Dublin. 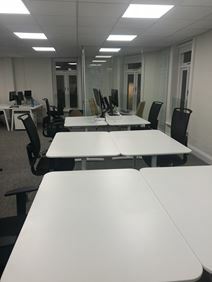 This superb building offers a small selection of offices, fully equipped to a high standard and ready to use, so you can start working from the very first day! Provided with kitchens, meeting rooms, elegant boardrooms and a cosy reception area, they benefit from a wide range of services and an experienced support staff which will take care of all the administrative and maintenance services. This building is well served by public transport and close to the major city's amenities. Neighbouring Silicon Docks in Dublin 2 this beautifully designed modern building this growing community is spread over four floors and 20,000 sq. ft., with options for coworking and private offices. A great location to work and play with brilliant transport links, lunch spots and nightlife. Make the most of 24/7 access, secure storage, skilled support from the Community Team, and a generous kitchen with breakfast, coffee and beer laid on. Situated just 3km from Dublin City Centre this co-working space can be found in Rathmines, an area with thriving civil and commercial activity. The space itself is designed to be attractive to small businesses, entrepreneurs and start-ups looking to co-share office space with a diverse and creative group of people. Here, you can benefit from the centre's 24 hour access, so you can work through late hours. In addition, there is shared internet provided as well as meeting rooms for collaborative projects and training seminars. Comprising a period property with 22 self-contained office spaces, this quality business centre is situated off Kill Avenue, with excellent links to the surrounding area. Getting to and from the space is quick and simple. Offices are fully furnished and a range of facilities is available for tenants to enhance operations and efficiency. The surrounding area is abundant in local amenities, and the space is just 9 km away from Dublin airport. This historical building offers a wide range of office solutions for companies and entrepreneurs. These office spaces are provided with parking facilities and a full list of facilities and services, to offer you a highly professional environment. Directly located in Dublin's Business centre, this building is surrounded by numerous companies, luxurious hotels, restaurants and is within walking distance of the city centre and the main shopping streets. Sensationally situated in the heart of the CBD and surrounded by a number of they city's financial institutions, this recently refurbished business centre is set within a Georgian building and provides semi-serviced office space that can be let furnished or unfurnished. 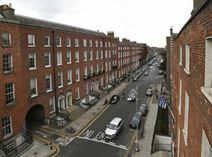 Leeson Street is also in the middle of the central business district with many of the city's financial institutions close at hand. 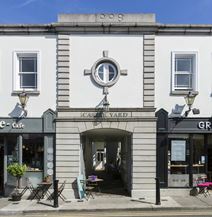 These one, two and three-person offices are self-contained and can be found in the heart of coastal Blackrock within a beautiful building. Ultra-modern fit-out and furnishings, high-speed broadband, key-less fingerprint entry allowing 24/7 access and your own private mailbox at street level to name but a few. The fit-out and furnishings are ultra-modern while tenants benefit from great transport links and local shops, bars and cafes. Superbly located on Marine Road with sea views, this high-tech office space offers high-speed broadband, fingerprint entry and excellent transport links. 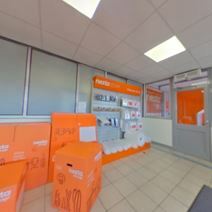 This centre also offer a virtual mail service, with your own mailbox and a professional business address. The Aircoach parks right outside and there is a selection of parking options. As these offices use biometric fingerprint readers for access and proximity detectors for the lighting circuits, tenants can access their office at all times without restriction. Located on Dublin's iconic Merrion Square with fantastic links to local transport and an abundance of amenities this office space is furnished to a high standard with a number of character touches. Car parking is also available if required, making it an ideal location for any business. There is Wi-Fi available throughout the site so you can stay well connected throughout your occupancy. Close by, there are lots of hotels at which to accommodate visiting clients and executives. This historical building, located in the heart of Dublin's business district, offers a selection of fully furnished offices. Recently renewed and refurbished with great attention to details, these offices offer a highly professional environment, which combines modern facilities and classical architecture. Provided with meeting rooms, boardrooms and an elegant reception, they offer a full range of services, including virtual office solutions. Excellently served by public transport, these offices have direct access to the motorway network and are just a few minutes’ away from the city centre and the most famous amenities of the city. Beautifully fitted, fully furnished, serviced office space located in one of Dublin's best business addresses, on Merrion Street. Multiple food outlets and cafes surround the building offering a variety of lunch choices, while tenants also have access to meeting rooms, reception facilities and secure infrastructure. This cultured community also enjoys the RHA Gallery (Royal Hibernian Academy), just 5 minutes away by foot. In the traditional market town of Enniscorthy, this business centre provides incubation office space that is supportive and flexible and helps individuals and start-ups to cut through the red tape while providing office space and access to meeting and conference rooms. Some very successful companies have graduated from here, such as Sonru, 2 Cubed and Taoglas, highlighting the benefit of this centre's services. This prestigious centre will give your company strategic presence. The building is presented in impeccable condition throughout, boasting lavish common areas and a communal boardroom. 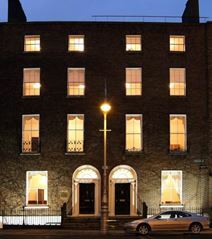 This fantastic semi-serviced business centre has many stunning period features but with all contemporary conveniences and specifications a modern business requires, part of the portfolio of Iconic Offices’ serviced offices in Dublin. The building is well serviced by local bus routes and DART services which located just a short 5 minute walk away. It is highly accessible by car, and offers secure parking on-site for your peace of mind. 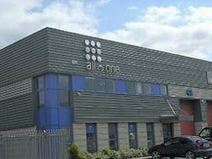 This business centre is found in a highly convenient location right in the premier business district of Dublin. The surrounding area has plenty to offer, including restaurants, cafes and hotels. 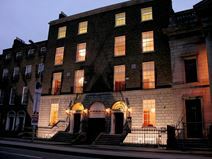 The centre is right beside Merrion Square and a short walk away from the Grand Canal Dock. Meeting rooms and offices come fully furnished and equipped, with a contemporary interior. Friendly staff are on-site to support you and clients, with IT support also available. 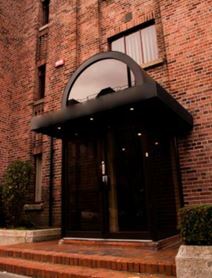 Found in a highly convenient location of Dublin this business centre is found in a stunning Georgian building with a sophisticated and contemporary interior. Friendly and welcoming reception staff are available to greet clients and support you throughout the day. Offices come fully furnished and equipped with everything you need, including telephones, internet and air conditioning for your comfort. This well designed business centre is located within a period building, with a modern and sophisticated interior. Lifts are available to all floors, along with air conditioning throughout the building and 24/7 access to the centre. Friendly staff are available to greet clients, answer the telephone and take messages. IT support is provided so your day runs smoothly and meeting rooms are fully kitted out. This unique and modern business centres combines a contemporary interior, with a historic Georgian exterior, right in the heart of Dublin’s premier business area. As a member of this centre you will benefit from a variety of premier facilities, including air conditioning, 24/7 access so you can work flexibly, daily office cleaning services and IT support. There is a lift to all floors in the building, and live telephone answering as well as message taking courtesy of a friendly on-site support team. The centre has excellent public transport links with plenty of amenities nearby. Found on Mount Street Upper, this centre mixes a contemporary and stylish interior, with a historic exterior. Housed in a Georgian building, the offices and meeting rooms are spacious and open, with plenty of natural light to encourage productivity and energy whilst you are working. The building is fully air conditioned, with a lift to all floors. The building is also accessible 24/7, allowing you to work flexibly. A friendly on-site management team is available to provide daily support and IT support. This modern business centre found in a beautiful Georgian building has a modern interior, offering spacious offices with plenty of natural light. Air conditioning is available throughout for your comfort, as well as lifts to every floor. The reception is manned by friendly support staff who also provide you with daily support so your day runs as smoothly as possible. The neighbourhood offers plenty of local amenities, with the well-known Temple Bar not too far away. Ideally situated in an attractive and renowned area, served by numerous transport connections, this building offers a selection of offices of various sizes to accommodate any of your needs. 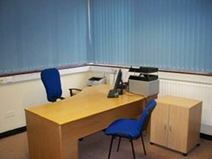 These offices are available immediately and provides fully furnished and technologically equipped rooms. Dublin Airport is only 20 minutes away by car, perfect for frequent travelers and for those with overseas contacts. This prestigious building consists of office spaces, modernly designed and decorated with great attention to details to offer a highly professional working environment. There is also efficient communication with the sites telecoms. 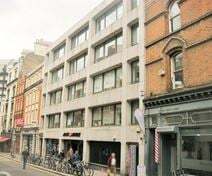 Set within a popular business district, the building is surrounded by numerous international companies, restaurants and hotels and enjoys excellent connections to Dublin city centre and to the airport. Opening in September 2018 is this newly refurbished office space which comes fully furnished and air conditioned. There is access to meeting rooms, WiFi and private phone booths. There is a friendly administration team which can answer phone calls, handle mail, greet clients and also offer IT support. The site is well connected to transport links with the nearest tram station only a seven-minute walk away. There is access to an on-site car park as well as a canteen. With wonderfully iconic European cityscape views this modern and contemporary office space is ideal for law firms, attorneys and lawyers due to its location in the historic commercial area of North Quay close to the Law Library and Four Courts. The center offers fully furnished and equipped office space and executive private suites as turnkey solutions for forward-thinking companies that value efficiency and convenience. The center also offers co-working areas and virtual office options. This centre hosts private studios, dedicated desks and hotdesks; all with access to a large array of amenities including a roof terrace with stunning views, private meeting rooms, a variety of different break out areas and even a massage studio for clients to de-stress and re-energise. Situated in the most exciting and technologically-focused area of Dublin, this centre is just a five minute walk away from the world-renowned Trinity College. The site is easily accessible and close to many restaurants, bars and shops; providing a diverse range of recreational and leisure services in addition to professional amenities. This fully serviced office space is housed within a traditional Georgian building but its interior now boasts a cool and contemporary feel. In addition, there is resilient business grade broadband, WIFI available throughout, HD voice Telco system, full phone answering, car parking and bike racking available. 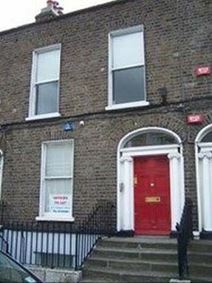 Just minutes from Fitzwilliam Square and St Stephen"s Green it has an ideal Dublin 2 location. This business centre is housed in a stunning Gregorian period building in the heart of Dublin's premier business district. The interior is unique and beautiful, with reception service and approachable staff to impress your guests. The work spaces are spacious, fully furnished and ready to use. There is also a daily cleaning system to keep your office looking tidy and professional. The location is highly desirable with plenty of restaurants, cafes and hotels in the nearby area. 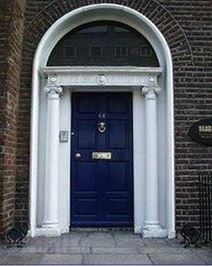 This business centre is found in the heart of Dublin, right beside Fitzwilliam square. The locations allows you to benefit from several local amenities right on your doorstep including restaurants, cafes and hotels. The centre itself offers spacious and modern office solutions, with a stunning interior and communal areas including a roof terrace and kitchen. The centre benefits from excellent public transport links, including buses, the Dart and the Luas. A brand new office space is available in this impressive building, modernly designed and sophisticatedly decorated with great attention to details. The office is served by public transport and enjoys a stunning view over the surrounding area, which hosts shops and restaurants. Just a short drive away, you can reach Leopardstown Golf Centre where you can socialise with like-minded colleagues after work. This centre is situated in a bustling district of Dublin, and provides a range of furnished office-spaces available on flexible terms. Tenants can make use of the high-speed internet, meeting rooms and business lounge. All work-spaces benefit from plenty of natural light as well. The area is home to numerous local amenities including restaurants, bars and retail outlets. Cultural and Geographic landmarks are also present in the immediate vicinity. Public transport links are substantial here, providing easy road, rail and air links around the city. You can even spend your lunch break walking past national treasures like the National Museum of Ireland, the Spire of Dublin or walk straight across Merrion Square! This outstanding centre is located in an exciting area of Dublin, so there is never a dull moment when you’re out of the office. The space itself offers 66 co-working desks and 20 dedicated desks, with telephone answering and mail handling services provided. This prestigious building offers a massive working environment consisting of offices of various sizes, fully furnished and equipped with the latest technology. These offices are provided with a full range of services and facilities, including parking facilities, high speed internet connection, advanced heating system and cleaning services. Virtual office solutions, telephone and reception services are also provided by an experienced and professional staff. Surrounded by a variety of amenities, this building is served by numerous public transport routes; it has direct access to the motorway and is well connected to the centre of Dublin. This high-tech office space offers a modern fit-out, high-speed broadband and fingerprint entry from its quaint location in the town of Dalkey. The space is bright and airy and includes reception area, meeting room and, for informal meetings, the courtyard. All offices are stylishly furnished and are ready to go. Typically costing from €425 per month (+VAT) these charges are all inclusive with no hidden extras. Set in a historical building, recently renewed, these office spaces are located in the most prestigious and attractive area of Dublin. These offices present a unique combination of modern facilities, luxury furniture and classical architecture, offering an elegant and stylish working environment. They are provided with a full range of services and facilities, including 24/7 access, CCTV monitoring and alarm system. Conveniently located in the heart of the city, they are surrounded by a variety of amenities and served by numerous public transport routes. 24 hour access, on-site reception team, bike racks, lightning fast WiFi and cabled internet are just some of the fantastic amenities your company can benefit from this centre. Occupying 31,000 square feet of flexible workspace, the spaces provided are modern, clean and well furnished to give you a professional, high quality environment in which your business will thrive. It is a stone’s throw from the St Stephen’s Green park, with plenty of local amenities, such restaurants and hotels, which can all be found within walking distance. Less than 5km from St Stephens Green and Dublin City Centre this newly refurbished business centre provides bright, self-contained office space in Dublin 4, with an all inclusive rate from €500 per person, per month. This is the perfect workspace solution with unmatched practicality. This highly accessible site is close to an abundance of local amenities, with restaurants, cafes, pubs and hotels within walking distance of the space. There is a great selection of museums, theatres and galleries to explore throughout the city. Ground floor centre in a five-storey building off of Junction 15, M50 motorway located in an integrated state-of-the-art retail park in Dublin 18. This centre offers private own-door offices are on each floor while an outer courtyard offers a respite from work. Each desk has telephone and Internet connection, and there are communal shower facilities and changing rooms in the basement. Fresh air is provided via a dedicated heat recovery above ceiling level. Offering a range of stunning offices, this building has 6 floors of working space with a total of 70,000 sqft. There is over 40,000 sqft of office space with a beautiful Georgian facade and 30,000 sqft of flexible warehouse space. Workstations come fully equipped and ready to use so you can start working straight away. The building also offers a great event space which can accommodate up to 100 people. The centre is well situated with plenty of access to public transport options. The city centre is just a 12 minute walk away and nearby you will find several trendy eateries. Situated on the edge of Leopardstown racecourse this warm boutique-style building benefits from an impressive Dublin location that is far enough from the city's distractions but close enough to reach in less than half an hour. This prestigious address will give your company a strategic presence. These offices come open-plan for dynamic flexibility. The facilities in this building allow you to focus on running your business, a PA can assist you with admin tasks so you can get on with your work. A selection of offices is available to let at flexible rental terms in the heart of Dublin. They are provided with spacious meeting rooms, videoconferencing facilities and high quality services offered by an experienced staff assisting your business in your daily activities. The large meeting space with screen and projector facilities with capacity for up to 50 people. Surrounded by numerous restaurants and cafés, these offices are well served by public transport. Just 12 kilometres outside Dublin City, Dún Laoghaire is a vibrant cultural hub. This self-contained office suite is on Upper Georges Street, the main business thoroughfare and is currently set out open-plan with a separate meeting room and kitchen. The area is popular with financial, legal and professional services companies. You will have many opportunities to network with other forward-thinking businesses at this impressive space. 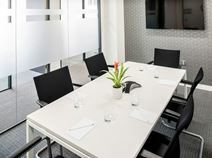 A short walk from the "Silicon Docks" and overlooking the canal in Dublin"s most sought-after business district, this business centre has been refurbished and renovated throughout to provide modern serviced office space and meeting rooms that is supported by a professional business support team. There are a number of cafes and lunch spots available within a 3-5 minute walking distance, in which you can entertain clients. Conveniently located in Dublin's business district, this business centre consists of first-class office spaces offering ideal working solutions. Equipped with state-of-the-art technology, meeting and conference rooms and safe parking facilities, this centre benefits from a wide range of reception, mailing and telephone services provided by a professional and experienced staff assisting your business in your daily activities. The centre is excellently served by public transport and is enjoys a fully serviced location, with numerous restaurants and hotels, offices and other attractions located in the immediate vicinity. This stylish business centre consists of first-class office spaces available in various sizes to accommodate needs of big and small companies. Equipped to a high standard and fully furnished, they are provided with a professional staff offering several services, to help you run a successful business. The elegant design and the modern technology will definitely enhance the image of your company. The centre benefits from a very convenient location, surrounded by numerous amenities and served by numerous public transport routes. A wide range of office spaces is available to let in the heart of Dublin, surrounded by shops, restaurants, offices and a variety of amenities. Fully furnished and equipped with the latest technology, these offices are provided with high quality secretarial and administrative services offered by a professional and friendly staff. Access is via an attractive hallway on Fleet Street with a lift to all floors. In addition each floor is alarmed and separately metered, and has CCTV and door intercom. Found in the heart of Dublin"s Silicon Docks, a vibrant area of the city, this business centre offers design led flexible office space including a penthouse office suite ideal for up to 10 people. Market-leading technology found throughout. Personalised telephone answering, car and bike parking, secure building compete with fob access on all doors, CCTV and monitored alarm system and access 24/7/365.